When I saw Melissa Prendergast’s testing call for Gabriella’s Winter Coat (affiliate link) I really, really, really wanted to test it. Like REALLY wanted to. 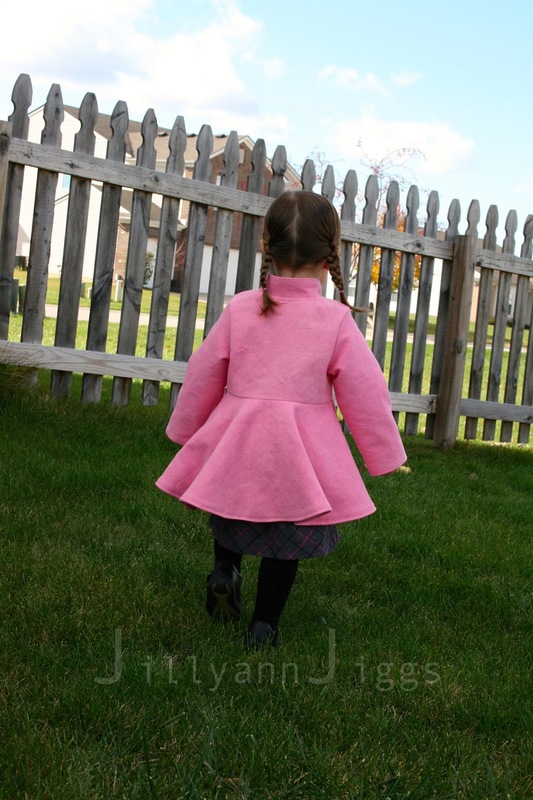 The challenge of making an actual coat was so exciting to me! And it did not disappoint. I learned so much through this pattern test. And now I feel like I can sew anything! Gabriella’s Winter Coat is sized from 6 months to girl’s 12. It is meant to be made of wool or something similar for both the structure and warmth that fabric provides. I tested it out of a pink denim and have a second one out of a wool blend cut out. The second one is on hold because my machine rebelled at sewing burlap for my Etsy shop and quit sewing halfway through the second coat. The machine is getting cleaned and repaired and will hopefully be back in my home next week so I can madly sew last minute Christmas Presents. I’ll share the second coat when it’s finished. It’s lavender and plum and is going to be gorgeous! Back to this version. Pink Denim. 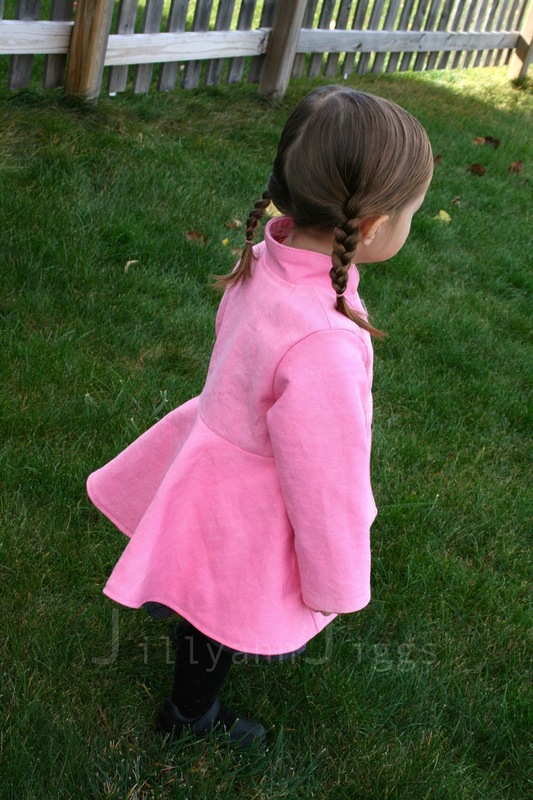 The pattern has lots of pieces and is an involved sew, but turns into a lovely, fully lined coat. 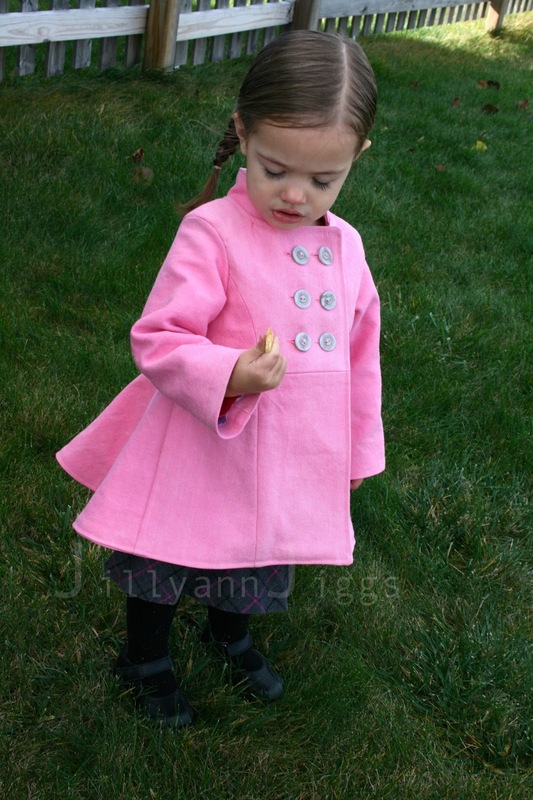 Similar to the Adaline Dress and Tunic, this coat mixes classic, feminine, and modern aesthetics. 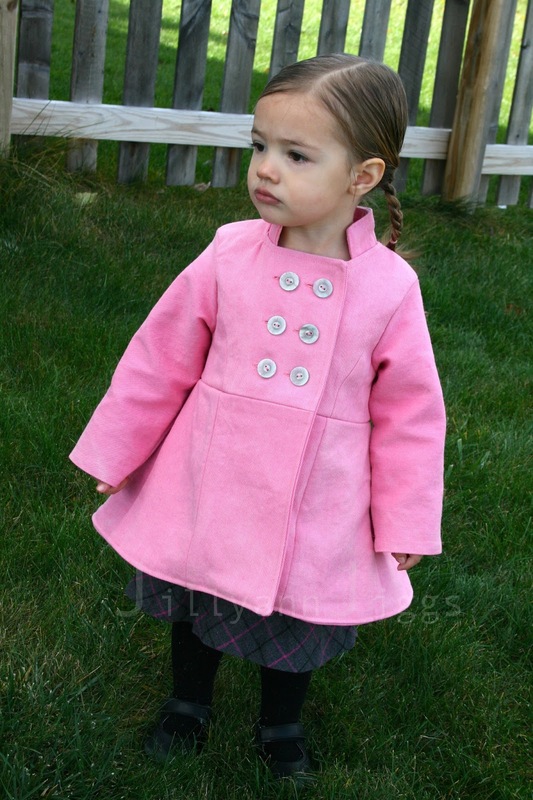 The princess lines and double breasted peacoat front gives it a classic feel, the mandarin collar brings a hint of modern, and the flounce in the back makes it very girly. I made size 12m with 18 month length for Pigg#4 who just turned two. 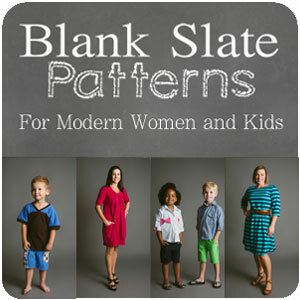 Blending sizes can be tricky for this pattern because there are so many pieces. I had no idea how to make a coat and so blended one of the pieces wrong because I didn’t understand where it went. It fits well and she’s been wearing it everywhere. The flounce in the back is almost like a dress and is pretty twirly. It spreads out really nicely when she sits in it. Some times you just have to bribe to get anything resembling ‘happy’. 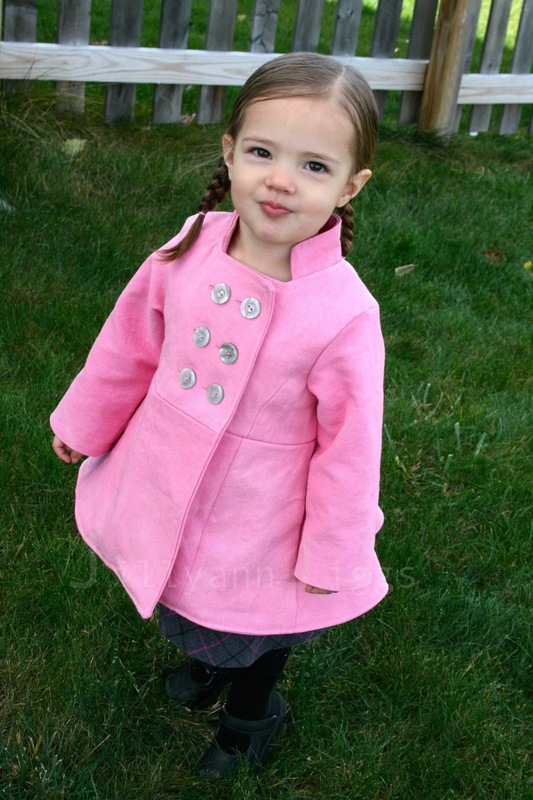 If you’re up for a challenge, visit bellasunshinedesigns.com and buy Gabriella’s Winter Coat (affiliate link). After you finish it, you can rock out to Krystal Harris’ “Super Girl” with me… 🙂 Happy Sewing!